When you've enjoyed the first two books in a trilogy, there's a happy, comfortable feeling when you open the third to revisit the characters and places you've already gotten to know. 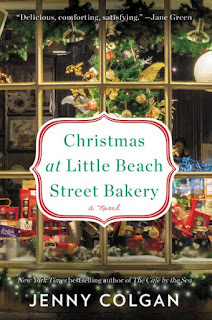 When the characters and the place are as delightful and lovely as those in Jenny Colgan's Little Beach Street Bakery trilogy, it is pure pleasure to meet them again. In Christmas at the Little Beach Street Bakery, we have the chance to check in again with Polly, Huckle, Neil the domesticated puffin, Kerensa and Reuben, and all of the inhabitants of the isolated little fishing village of Mount Polbearne in Cornwall. 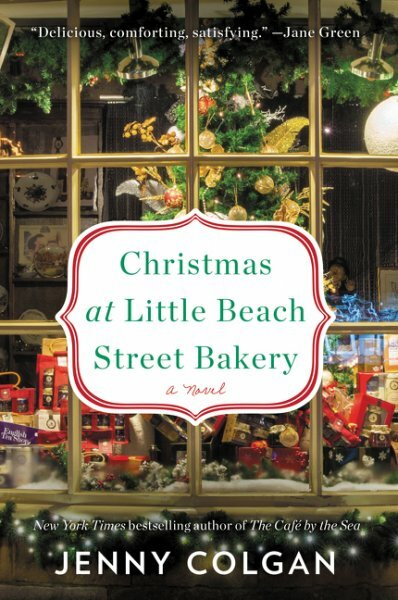 At the end of Summer at the Little Beach Street Bakery, Polly has overcome several major challenges but once again, happily ever after isn't the way that life works outside of fairy tales and she stumbles into new and different challenges, in her relationship with Huckle, in her friendship with Kerensa (and Reuben), and in her own personal history. Each of these new challenges affects each other and ratchets up the stress in Polly's life, as if it wasn't hard enough for her to be perpetually broke and worried about the people and animals around her. Polly is as warm and wonderful a character as she has been in the previous two novels. She is again brought low emotionally by things that are both beyond her control (Kerensa's secret and her missing father's abrupt appearance in her life) and by things within her control (misunderstandings with Huckle over marriage and babies and her relationship with her mother) but she never loses the giving nature that so endears her to readers. The secondary characters are much as they were in previous books as well, giving readers a comfortable feeling of coming home when they open these pages. As in the other books, there are some darker themes addressed like infidelity, abandonment, the price of loyalty, and fear, and Polly has to face the lack of a large and full family in her life that she's never quite come to terms with. Despite these weighty themes, the novel offers as much delight as a warm loaf of Polly's freshly baked bread and ends on a cheery, uplifting, and beautiful note of love, friendship, and reconciliation. I'm sorry the story is over but I'm glad I got to spend a little more time in Mount Polbearne and I'll definitely look forward to Colgan's next series. 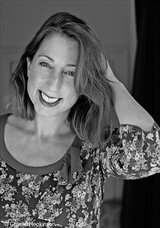 For more information about Jenny Colgan and the book, check out her website, like her on Facebook or follow her on Twitter. Check out the book's Goodreads page, follow the rest of the blog tour, or look at the amazon reviews for others' thoughts and opinions on the book. Thanks to Trish from TLC Book Tours and the Harper Collins for sending me a copy of this book to review. It's on my wish list so I'm glad to see you liked it! I'd love to spend some time in the bakery - it sounds like a placed I'd feel very comfortable.